Our Mount Aso Walking Tour is a fully guided tour. The tour is suitable for anyone who can walk for more than 1 to 3 hours in comfort. 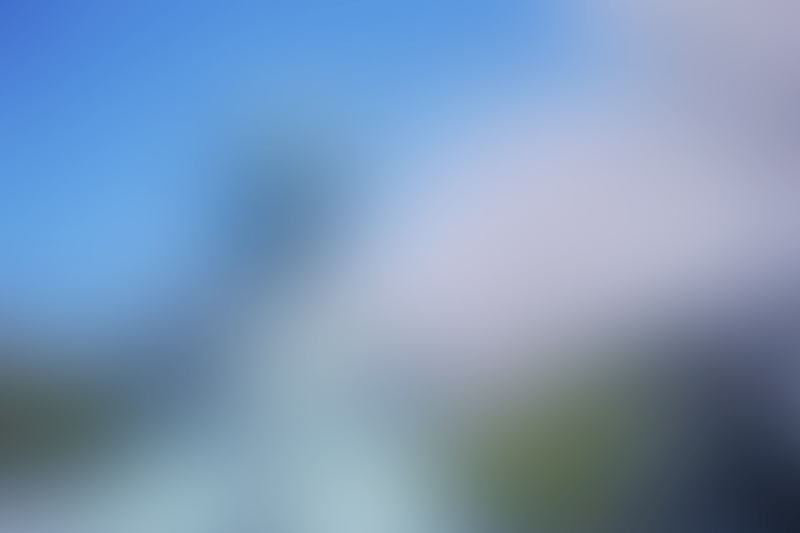 This i6 day, 5 night tour will take you through the geographical highlights of Aso, a historical city in Kumamoto Prefecture located in the region of Kyunshu. On the surface, Aso is a place of tranquil beauty. Charming villages offer breathtaking views of Mount Aso. Yet underneath the beauty is a volatile force that cannot be tamed. Dotted with volcanic mountains, Kumamoto Prefecture is frequently referred to as: Hi No Kuni, the ''land of fire''. 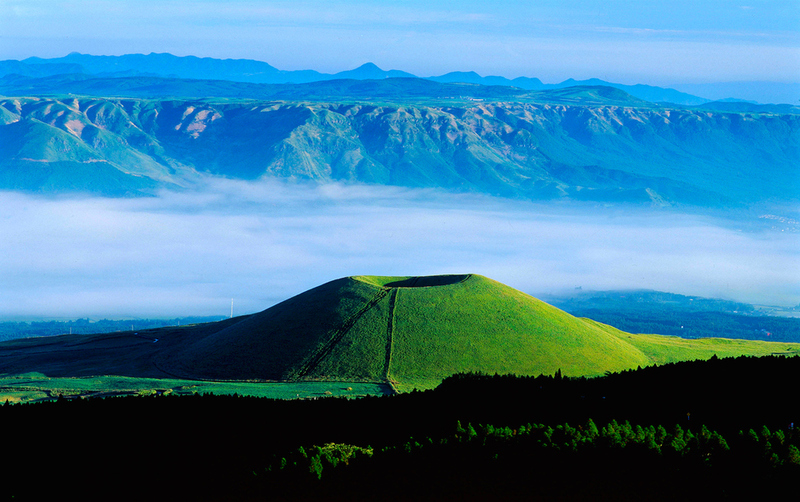 Kumamoto is home to Mount Aso, Japan's most active volcano and one of the world's largest caldera volcanoes. The tour will start at 13:30 at Kumamoto Station and from here we are heading to Aso City which is located 90 minutes away. En-route to Aso city we will walk the Futaenotouge Pass, an elevated mountain pass of 683 meters. 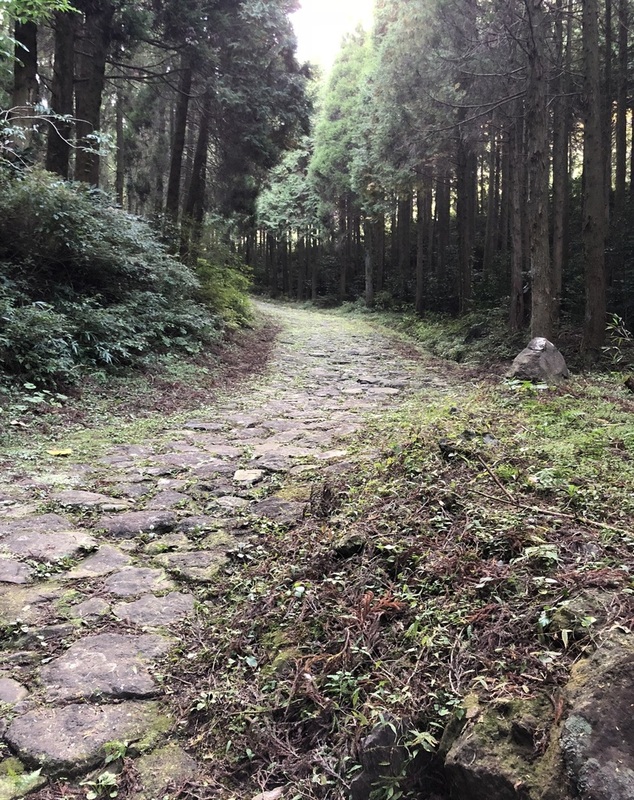 The Futaenotouge Pass is a portion of the Bungo Circuit, a historical trail used by the feudal lords of the Kumamoto Domain to travel to Tokyo, in a practice known as Sankin-Kotai. 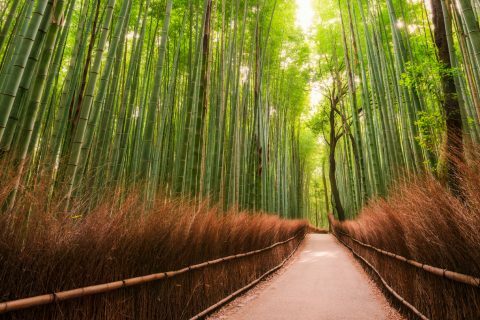 Relive history and walk in the footsteps of samurai as you trek the 1.6 km long stone paved ''Ishi-Datami no Michi'', which is the longest of its kind in Japan. Afterwards, all tour participants will gather for a lively dinner. After breakfast we will depart for Aso Shrine and along the way we will stop at the former girls school, which was built in the early 20th century. The charm of this old building is accented by the sounds of bubbling water on the premises, due to the large presence of spring water in the area. Lining the sando (the procession to Aso Shrine) are plenty of unique shops that offer an impressive variety of souveniers and delicious Japanese foods. 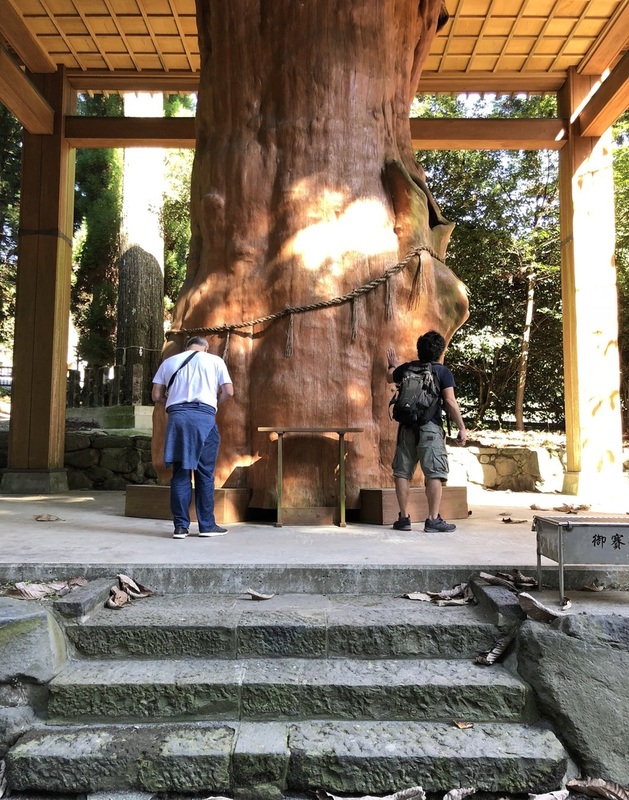 Afterwards we will make our way to Kokuzo Shrine, market by its impressive Shinboku, a divine tree which Kami (spirits and deities) reside. We will also visit the 6th century megalithic tombs of Kami-Mikura and Shimo Mikura. Lunch will be at a local eatery and is followed by an afternoon trek to Mount Kishima, one of Mount Aso's Five Peaks. 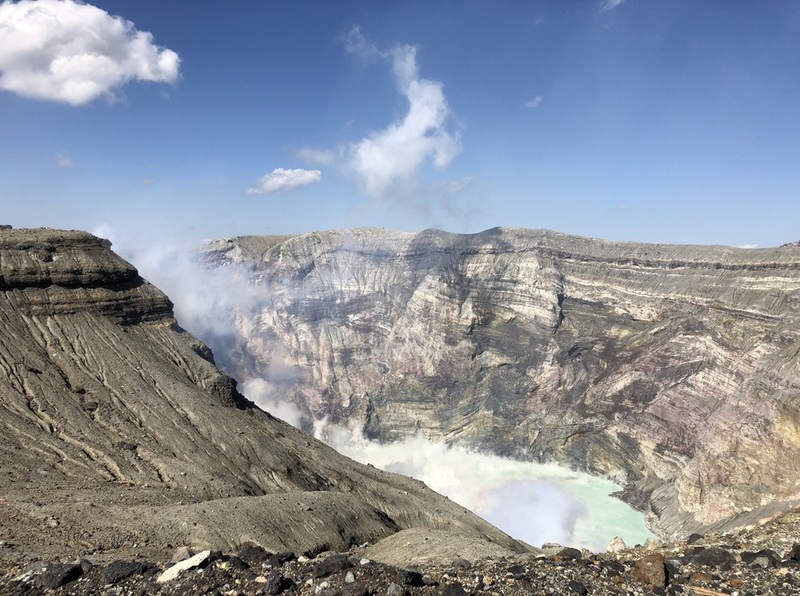 From its summit take in the unobstructed views of the caldera's cone from the Northwestern side. Dinner will be held at a local establishment. We will walk from Nishinomiya Shrine to Minamiaso Village and Yasaka Shrine. From Yasaka Shrine we will venture in the direction of Nishinomiya Shrine for a 90 minutes walk. Among the kami worshipped at Nishinomiya Shrine are the Daimyojin, the ''great shining deities'' of Aso, Kosa and Takaki. Lunch will be at a soba restaurant in Minamiaso Village followed by a tour of nearby Takamori. We will visit Hizenya a craft shop famous for producing Marukichi soy sauce and miso. Then to a sampling tour at Reizan which is an iconic sake (rice wine) maker of Kumamoto. Dinner will be held at a local establishment. We start the day with heading to Ubuyama, a village located in the northeast portion of the Aso caldera. The first stop is Higotai Park which is famous for its collection of flowers, especially its Higotai that bloom in summer. 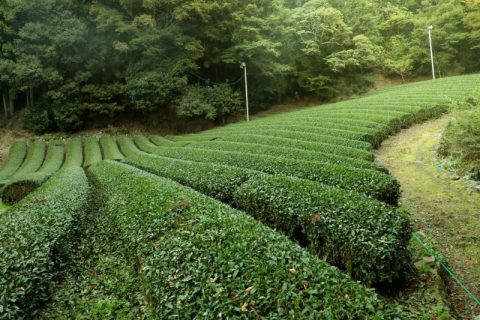 From Higotai Park we will walk to Ogi Tanada, a picturesque rice terrace highly esteemed in Japan. 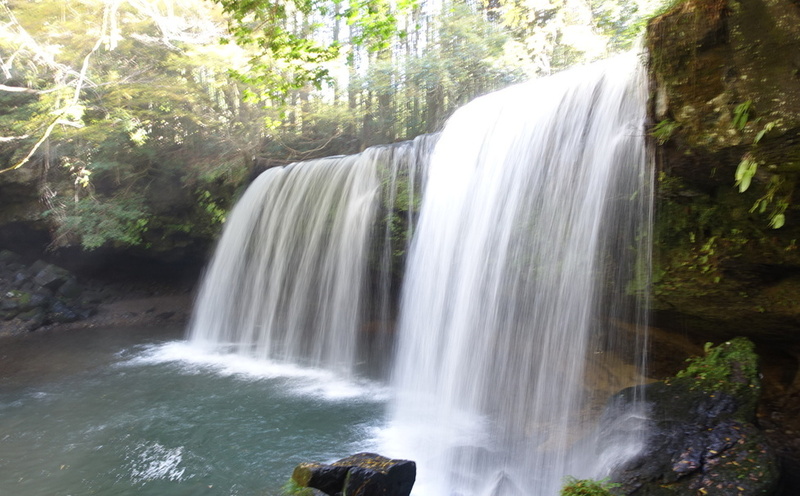 After lunch we will continue to explore Ubuyama's natural attractions such as the Ikeyama Fountainhead. 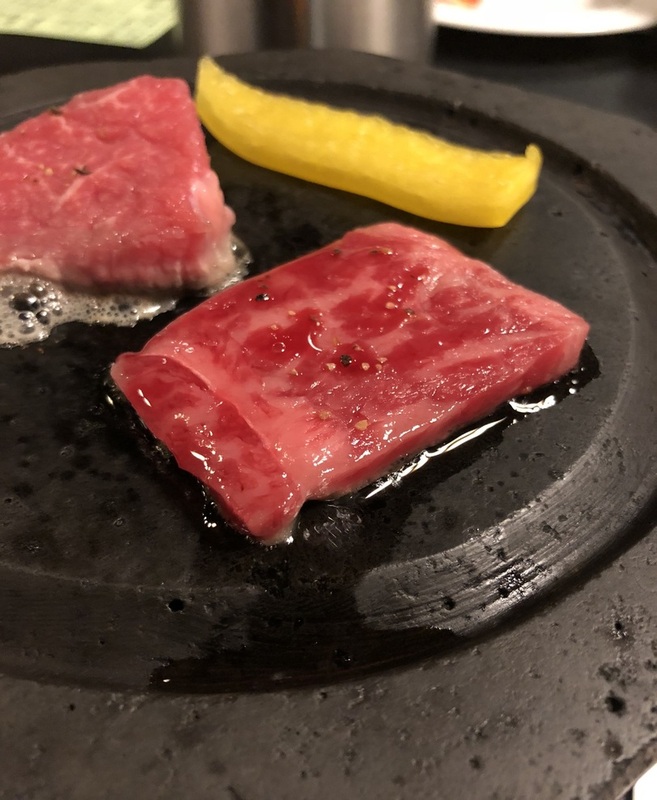 From here we will trek to Ikeyama Farm, home of the Aka Ushi, a breed of small wagyu beef cattle known for its red coloring, tenderness and lack of excess fat. There will be an opportunity to learn more about this breed at the farm. 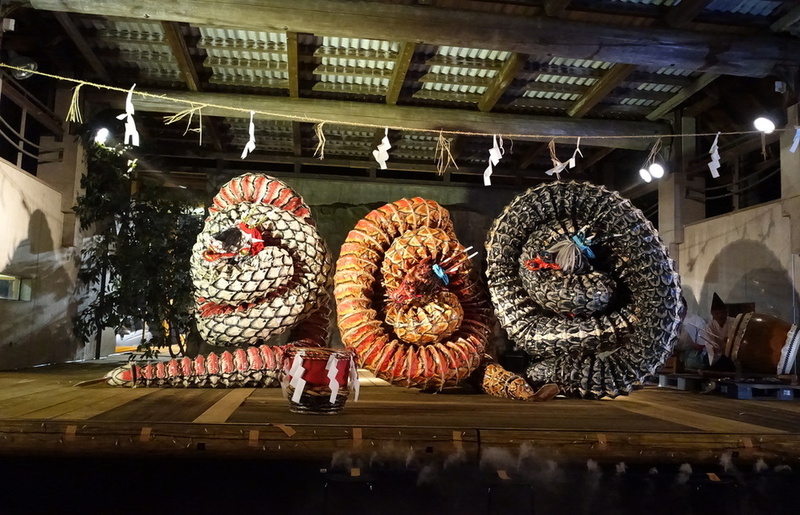 Afterwards enjoy a performance of Kagura at Namino Kaurgaen. 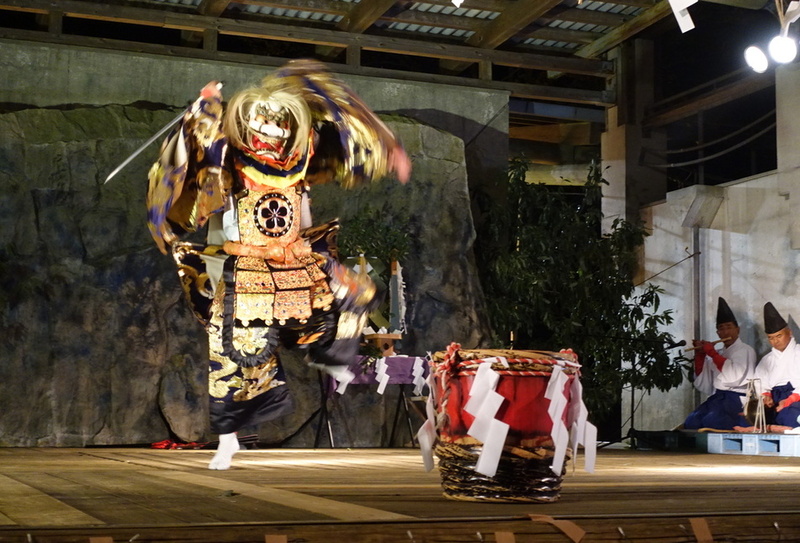 Kagura is the oldest performance art of Japan. You may also explore the Kagura-Den, the building within a Shinto Shrine where the Kagura is performed for Kami (deities) during ceremonies. Following the Kagura performance is dinner at a local establishment. Today you will be able to experience the relaxing Japanese Onsen since we will be heading to Tsuetate Onsen town, located in the mountains that straddle Kumamoto and Oita Prefectures. Afterwards we will be heading to Waita Onsen village with its collection of 6 hotsprings located at the bas of the 1.500 meter tall Mount Waita which overlooks Kumamoto and Oita Prefectures. After lunch a visit to the town of Oguni Horai Yoshimi Shrine and a trek to Nabegataki Falls follows. The final Onsen of the day is Kurokawa Onsen, a village with an assortment of 25 different hot springs and outdoor baths. 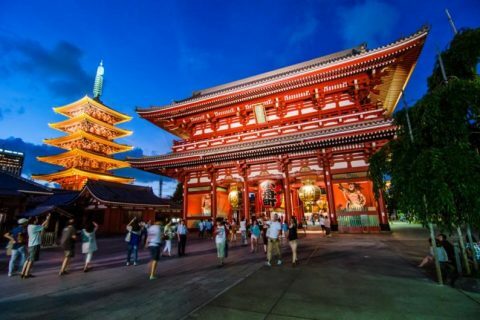 Food stands, Japanese inns and souvenier shops line the streets that creates a charming atmosphere that is the perfect escape from urban life. 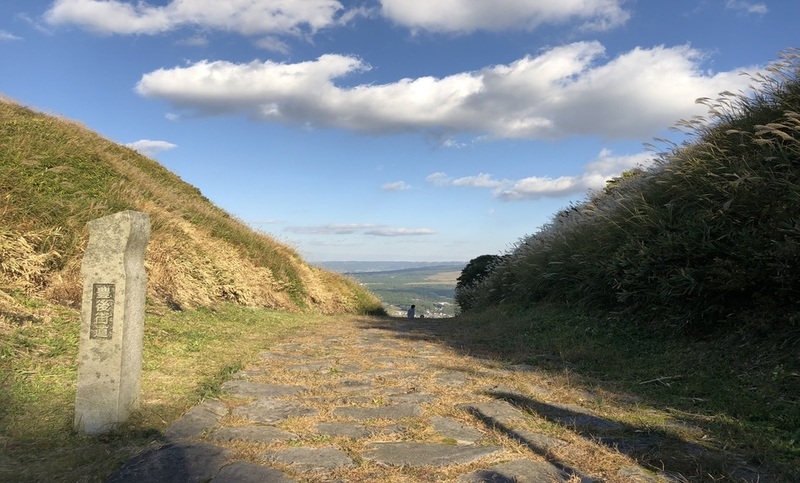 After dinner we will head for Hirano-Dai, also known as Lover's Hill to take in the starry skies and beautiful panoramic views of Aso caldera. To the east of Lover's Hill are the Kuju Mountains and to its south lies Minamiaso and afterwards we will return to our accommodation. The tour concludes after breakfast and the tour leader will be happy to assist you in finding your way to the next destination. You should be able to carry your personal belongings and walk for up to an hour and also be able to climb stairs. You should be able to walk around 15-25km per day. Walks may include some hills, but not over extended periods of time. Walks range from 3 to 5 hours per day. The meeting point is at the Shinkansen Central Gate of Kumamoto Station.